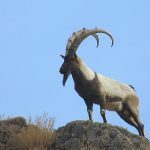 The bare mountains of Iran are hiding a faunistic treasure of great importance, all it takes is to think that there are 4 subspecies of Mouflon in Iran (even 7 according to the classification of the S.C.I. 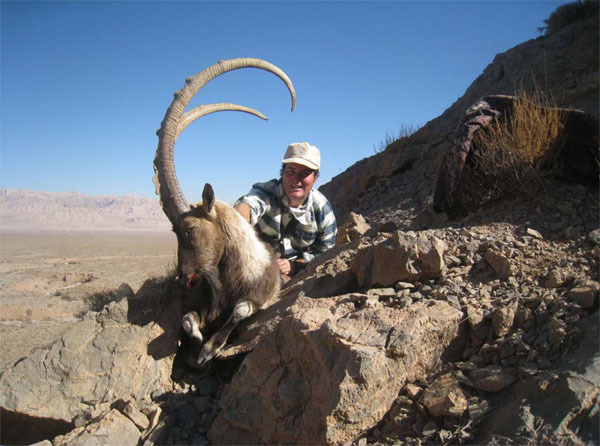 ), the famous Persian Ibex, the most beautiful Ibex in the world, with the trophy that exceeds 130 cm in length, two species of Gazelle, the rare Fallow Deer of Mesopotamia, Maral, Bears, Wolves and besides Leopard and Cheetah, currently cannot be hunted and above all not to forget a large number of wild boars, a true haven for a driven hunt. So many kinds of game can coexist in Iran, thanks to the extraordinary and manifold variation of the existing habitats, which vary from the immense forests on the Caspian Sea, through mountains reaching 6.000 meters, such as the mountain of Elbrus, to the steppe deserts and true deserts, in the central part, to the low mountains without vegetation in the South of the country. Now we are able to offer this haven in a country where hunting has been closed for 20 years because of the revolution. The accommodation is provided in the hotels next to the hunting areas and in some cases in the camps inside hunting areas. Transfers are provided by a 4WD car, on horseback and on foot. 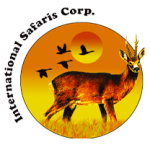 The general organization includes: Visa entry reference number, firearm import permit, meet & greet at Teheran airport upon arrival and departure, two nights hotel in Teheran, hunting license and entrance fees to the reserve, trophy fee of the selected animal, first preparation of the trophy, 5 hunting days, lodging and full board during the hunt, all local transportation, assistance of a professional guide. 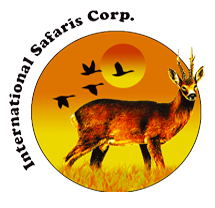 International and national airfares, additional hunting days ($ 1.000 daily), sightseeing tours, trophy shipment, observer ($ 350 daily), tips, drink and gratuities. For booking, 6 mounts prior the hunt 50% of total hunt be paid. The total amount of daily rate & license fees, must be paid at least 90 days prior to the established starting date of hunt. 50% of the total daily rate and 100% of the license fees from 45 days prior to the booked date if no equivalent replacement is found.